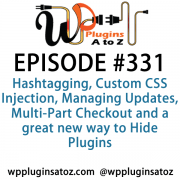 It's Episode 393 and I've got plugins for SEO Tools, Automotive Listings, Displaying Pages in Widgets, Duplicating Menus and Classic Press Options. It's all coming up on WordPress Plugins A-Z! Subscribe and Check out our Training Videos, Screen-casts and extra shows. I also have a live show every Saturday night at 8pm PST that is a round up of all new in the WordPress world and a time for Q&A. With that, let's dive right into the meat and potatoes. Today I have 4 great plugins for you. To start off I have a couple plugins that I have yet to use but thought you might want to know they exist. Keep in mind the ratings are based off the descriptions on their site and using their demo if available. The Essential SEO Toolkit is a very powerful suite of tools used by Opace everyday and will be particularly beneficial in roles such as SEO, Web Development and Digital Marketing (as well as many others too). 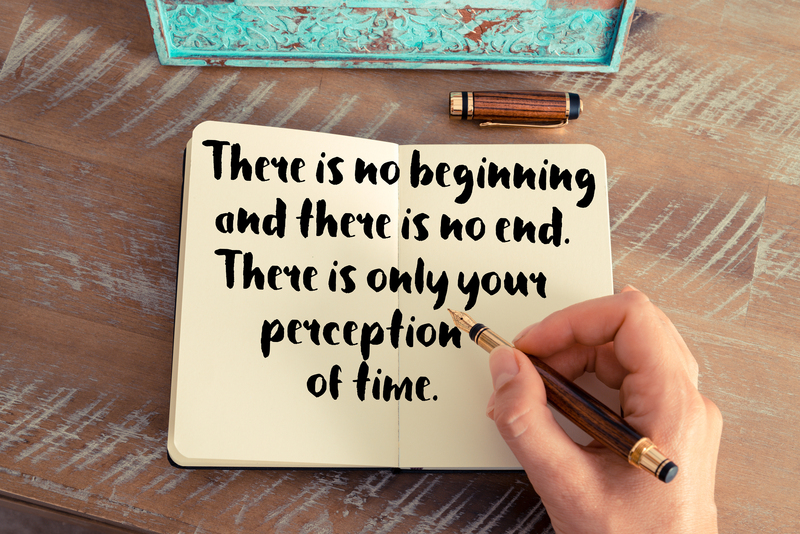 There is no charge for this tool, so why not download it, there is nothing to lose and a lot to gain! As with any toolkit, there are a range of tools – each of which when used helps to get a different part of the job done! The tool when opened will use the current URL as its default (this can be changed) and will provide speedy data viewing for the website selected. The settings can be modified from the Opace Essential SEO Toolkit plugin installation screen or under “Settings” in the admin panel. The default landing screen is called “Sources”, where you will see all of the default sources added by the plugin. 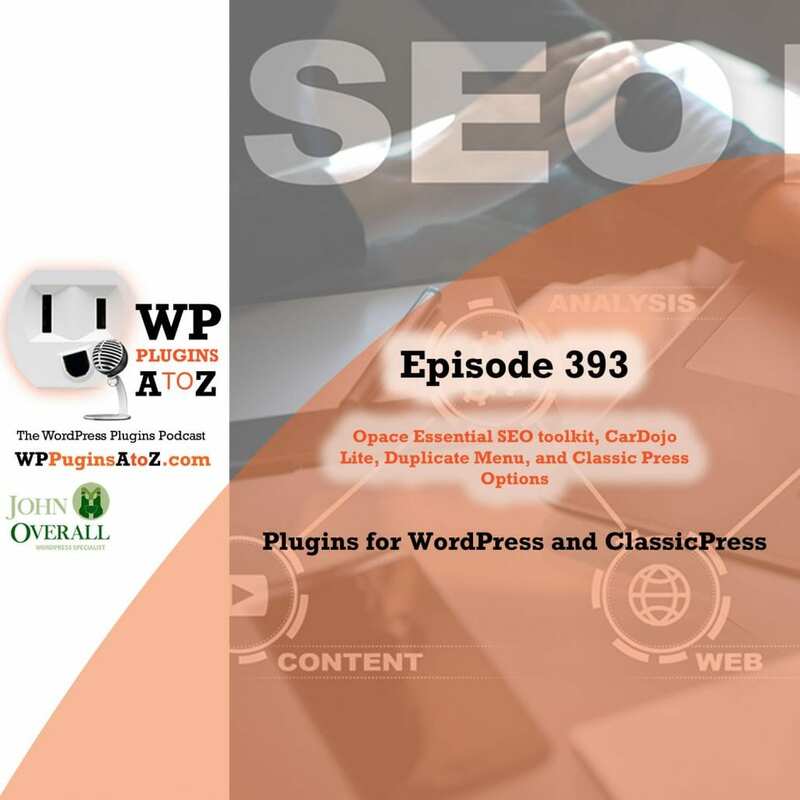 When you have configured the Opace Essential SEO Toolkit settings as needed, you can then go to one of your posts or pages and use the plugin. In the right hand admin panel of the post type in question you will see the Essential SEO Toolkit meta box. Click on any of your categories to dropdown the list of sources. Click on any source to load it with the current post type URL. The tools enclosed are divided into five default categories and provide support for numerous areas of social media and SEO. CarDojo Lite Plugin is an advanced solution for car dealers and automotive marketplaces. It contains advanced inventory with a lot of car details per each item. Easy front-end vehicle submission. Extensive car details fields & filters, costs & expenses, loan calculator and amortization schedule table. CarDojo is a powerful tool that manages the most important aspects of a vehicles sales website. It’s used for more than just Car Dealers, it’s used for selling RVs, Boats, Campers, Motorcycles, Trailers, Semi-Trucks and even Planes. If you’re building a car dealer or vehicle sales website CarDojo gives you the wicked powers you need. The settings area has a Quick Setup Wizard to walk through your initial setup and get you up and running as fast as possible. Turn features on and off easily letting you customize your site with ease. Inventory management is a snap, quickly add and remove vehicles, upload photos & change prices. With 20yrs Exp. on-line and over 8 years dedicated to WordPress JohnOverall.com Provides all your web service needs from hosting to WordPress development, repairs and https://wpmalwareremoval.com/. Contests Powered by Simple Giveaways who kindly provided us with the premium version for our contests. We are currently running a Give away a 1 year pro license for WooCommerce Product Feed manager! Increase your WooCommerce store sales potential by easily generating product feeds and uploading your products in the major merchant shops such as Google Merchant Center, Facebook Dynamic Ads, Amazon, etc. This plugin is specialized in generating a product feed that you can directly upload on other major merchant platforms with no extra hassle. With a few clicks you can get all your product details ready to be uploaded into another platform, without having to manually input data. This plugin was reviewed in Episode 388. If you would like to donate a plugin, please do so here. Visit http://WPPluginsAtoZ.com/contests for more info. This very useful plugin while ageing a bit is still functional in Gutenberg. What it does for you is allow you to display a page in any widget. This is useful in many ways in the case I am using it we have an intranet we are rebuilding and we need to display a couple pages in the new front page that has drag and drop widgets. The best way it works is if your page is simple and using simple text and HTML. fancy layouts do not do as well. In this case it was a page with a listing of internal documents. I like listener feedback. You can leave feedback via our contact page, Speakpipe or email us directly. This Show is a Value for Value model meaning if you get any value out of it please give some value back and in that vein we would like to acknowledge those that have supported the show in the past week. All donations $50 and over their note is read out and published here. A big thank you to those who have hired me because of the Podcast thank you that is as good as donating to the show.. This is a simple plugin that can save you tons of time. It is particularly useful when rebuilding and upgrading a website. This plugin allow you to go in and create a duplicate of an existing menu and then start editing it. The useful part is that during a rebuild you may need 50 to 60% of a menu but you don't want to lose the old one just yet. You might be experimenting with new menu layouts etc. This allow you to do all that without having to build the menu from scratch. Adding a new segment just for Classic Press since the release of Gutenberg ClassicPress has garnered a lot of attention. I recently released a short screen cast about the conversion of a site to ClassicPress. It went very well fast and easy. Watch it here. I will bring one or more plugins per week here as I can test them. Well it was only a matter of time until we started seeing ClassicPress specific plugins here is the first that I have come across. ClassicPress provides many helpful REST API endpoints that expose data about your site. For the most part, this is a handy feature. In the case of usernames, however, allowing this endpoint to be accessed anonymously can make your site more susceptible to brute force attacks. This plugin prevents anonymous access to the endpoint. Side note: I noticed that when you are doing a search using the repository it show you right away if the plugins are compatible with your version of Classic Press. 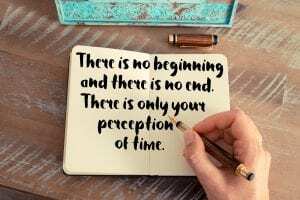 The next WordPress Meetup in Victoria will be February 20, 2019 and will be broadcast Live on YouTube. 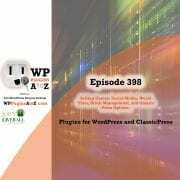 For location and more information Check them out at https://wppluginsatoz.com/meetup John Overall will be presenting on Disaster Planning for your WordPress Website. 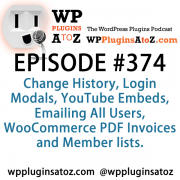 Be sure to check out and subscribe to the YouTube Channel for WP Plugins A to Z where you find training Videos, Screencasts and of course the live show every week.